Priene was one of the smallest of the 12 cities that made up the Ionia Union. 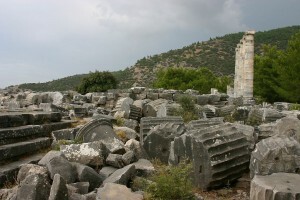 It’s ruins are located in a dramatic setting on top of a hill overlooking the Meander River, with the steep slopes of Mount Mykale in the background. In ancient times it had a harbour which gave people great hope for the city’s future. However, the harbour gradually silted over which impacted on the city’s growth significantly. 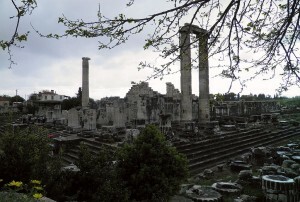 In spite of this, the extensive use of marble and dedications of building suggest that it was a very wealthy city. In addition to its beautiful location, it offers visitors today the chance to see a well preserved theatre, bouleterion (council chamber), and the remains of its Temple of Athena. 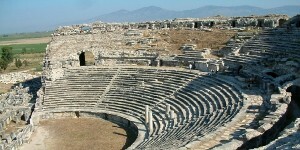 Miletus was another important city in ancient times. Its location on trade routes made it very prosperous, and it also made significant contributions to science, and was the home to several famous ancient philosophers. The first coins were minted in this city, exact weight measures were established here and the Phoenican alphabet perfected. 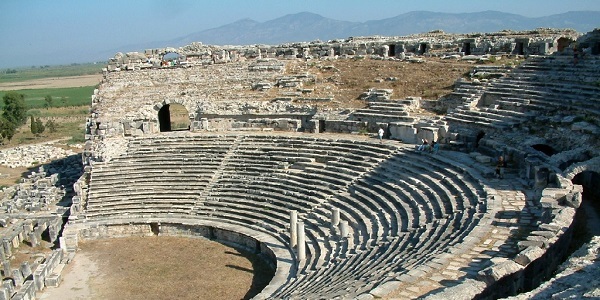 It was in Miletus that St Paul met with elders of the Church of Ephesus before his final journey to Rome. When the city was rebuilt in 479BC, it was planned in a grid design, later used as the design for many cities throughout the Mediterranean world. 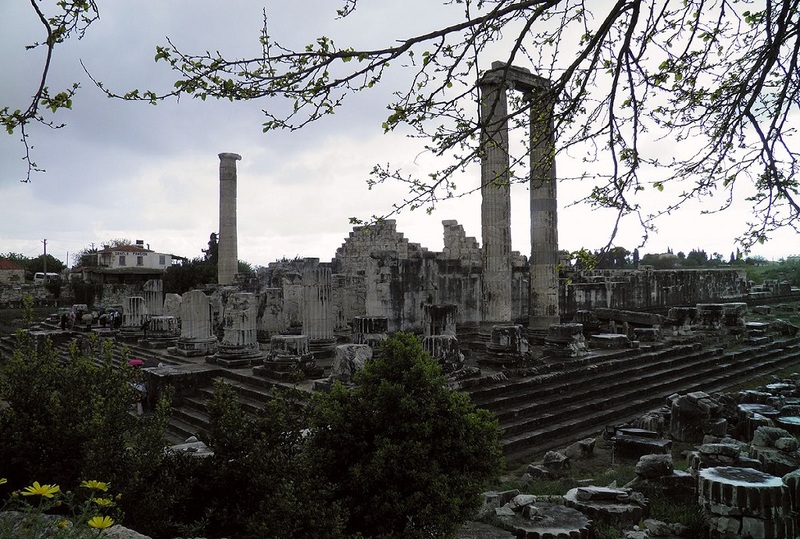 Didyma, located near the modern day resort town of Didim, was home to a huge Temple of Apollo which was among the most famous oracles in the ancient world, equal in importance to the temple at Delphi. With its white marble columns and two tunnel ramps which go down to the enclosure where the sacred spring was located, the temple will amaze you.